Healthcare Digital Marketing Expert. Passionate about content writing and sports. While market visibility, credibility and building relationships are imperative for attracting new patients towards your medical practice, you can do so even without an extravagant advertisement budget. These five extremely simple, inexpensive techniques will exponentially enhance your practice’s potential patient reach and lead to an influx of new clients. A distinct and clear brand identity will distinguish a physician’s practice from his competition by building trust and loyalty between him and his patients. First, you need to determine your brand identity. Your ideal patient? Why would he come to you? Do people instantly think of your practice in situations where your services are required? This brand identity needs to be associated with a goal, one reflected on every marketable item that represents your practice. Every medical pad, stationery item, appointment card and online source (your website, Facebook page, etc) should bear your brand name and logo. Your brand message could be a catchphrase, a logo or even a word, but it needs to be an image people instantly start to associate your practice with. 2. The Internet: Broaden your horizons. Publish your contact details, brand message and other essentials along with a few pictures of your practice on your website. If you do not have a website, interaction with patients is still possible via patient portals that Electronic Health Record (EHR) software provide. Additionally, review and rating websites are another way for potential clients to gauge your practice’s credibility, and in negative cases shift elsewhere. So you need to look at what patients have to say about you there and reply accordingly. You can receive e-mail notifications whenever someone comments regarding your practice. Dedicate 5-10 minutes of your time to such pages. A survey in 2010 revealed that 43% of US citizens are Facebook users. With the figures exponentially rising, Facebook, Twitter and other social media websites are a great avenue to market your practice. When scores of people are communicating on such portals on a day-to-day basis, why shouldn’t a portion of them talk about you? Make sure you are present on these mediums for both existing patients to review on and for potential patients to read up on. Managing accounts is free and if you designate just a few minutes per day to comment on reviews, post health-related articles and videos and make your presence felt in general, you will definitely see new patients come to you. Referrals via word of mouth hold a significant place in bringing more patients to a practice. 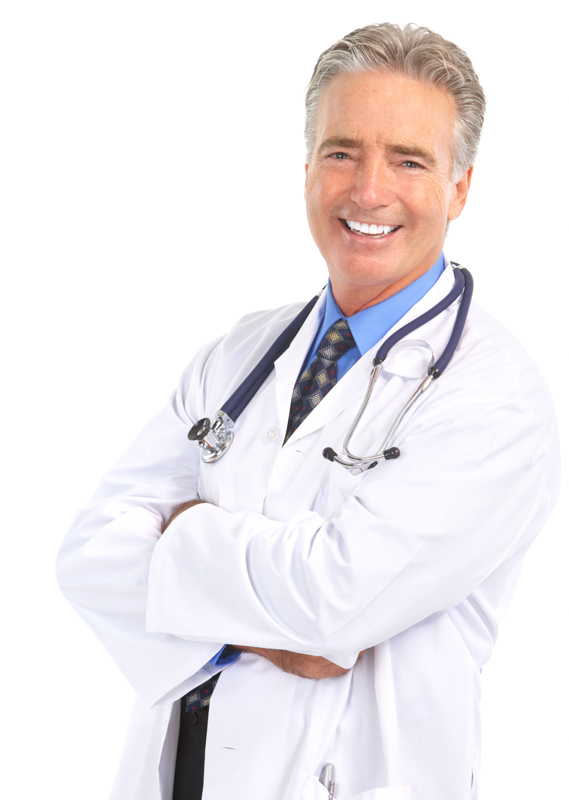 Patient satisfaction with your practice does not mean they are not neglected. If they feel distanced from your practice, they might shift elsewhere. Many physicians have started using technology to ensure their patients stay happy. Simple Electronic Health Record (EHR) software sends patients automated reminders and alerts. Moreover, this simple technology has services such as patient portals which allow patients to communicate with their physicians and even incorporate the transfer of reports, x-ray scans and such information. Have you organized a two-day mobile clinic for the underprivileged or attended your town’s annual health seminar? Ever visited your son’s school on career day? Try doing something of the sort and become the talk of the town. Give something back to the community and consequently enhance your client base. The country’s growing concern about staying healthy, eating healthy, and being healthy in general means that both existing and potential patients are extremely likely to appreciate health-related articles, videos and information on your website or blog. If you do not have a webpage, you can always use EHR technology which facilitates patient portals to educate your patients. Informative e-mails, health seminar invites and open house sessions are other simple ways to promote your practice. Technology and healthcare delivery: a match made in heaven? From the earliest evidence of tool usage 2.5 million years ago, to the invention of the wheel in 4,000 B.C. and more recently to nuclear power, computers and mobile phones, the evolution of both humans and technology has been phenomenal to say the least. The healthcare industry has been no outsider to this evolution, and the current era is witnessing revolutionary transformations which are exponentially enhancing the efficiency, safety and quality of care delivery. From providers to patients, from physician assistants to nurses, the entire care delivery team has seen even the most basic of processes made simpler by Health IT solutions including Electronic Health Records (EHRs), Practice Management (PM), Medical Billing and Patient Portals. This article will give an insight on how technology can improve the management of your practice and subsequently enhance the value of patient care. 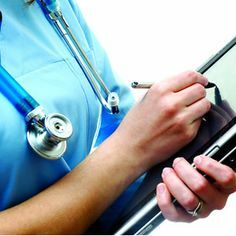 The clinical procedures of your practice will be made easier, safer and quicker via EHR software. With each patient’s entire medical records stored on this safe, online source, you will be able to make more informed decisions in the diagnosis, treatment and follow-up stages, with a lower probability of errors. For example, if a patient is allergic to a specific herb, it will show up on your screen and you will not prescribe him a medicine with that particular herb. Previously, with piles of patient information stored on large paper files, such an observation could have easily been overlooked. Moreover, repetitive tests and duplicate entries will fall to almost nil with the easy-to-use interface of these systems. Digitizing basic patient information, demographics, diagnosis and treatment is important but it is equally important to introduce integrated Practice Management (PM) software to your practice. Why, you probably think. The reason is that PM facilitates the smooth running of your practice’s daily operations, with important processes such as billing and scheduling managed by PM solutions. With services including enterprise scheduling, document management, automatic insurance verification and financial aging reports your staff’s efficiency and productivity will rise. You will have online access to your practice’s operations and this will help decrease operating expenses and speed up the revenue collection process. Imagine having your clinical and management information with you while at a health conference in Manchester. You can supervise and manage these processes by sending important instructions to patients, staff, hospitals and labs from there. Wherever you go, you’ll be in complete control of your practice, and ensure that the care delivery keeps at an optimal. Your pager must be swamped with patient messages, some of them concerning their condition while others regarding simple health information. Using a patient portal, you can give qualified staff personnel certain access to answer some of these queries so that you can focus on the more technical ones. Additionally, you can use these portals to send lab results, reports and reminders to your patients online. There are e-Labs in HIT systems by which you can send both orders and results online, which will save valuable time for all parties concerned. This saves time for both doctor and patient, and additionally lowers the number of visits a patient has to make to a practice. Interoperability is a term growing in importance within the healthcare industry. Sending and receiving reports to labs, prescription orders to your patient’s pharmacy and patient information to a hospital in another state where he/she needs immediate treatment, all of this and a lot more is possible with this integrated software. Through the use of technology, HIT in particular, the clinical and operational processes of your practice will be streamlined and will indirectly and directly help achieve the golden goal; that of optimal care delivery. Are Electronic Health Records Saving Time for your Practice and Patients? With just a laptop and an internet connection, you can view your entire clinical data in addition to connecting with patients, hospitals, other providers, labs, payers and etc. To guide you through the automation-process, consider a patient Alex, for example. Alex sets up an appointment and comes to your practice complaining of a stomach ache. After the nurse completes the objective portion of the visit, which includes his taking his vitals and other basic information, you assess this objective and subjective data and give your diagnosis before recommending what needs to be done next. EHR systems allow you to document this entire process online, and readily forward relevant information to labs, pharmacies, etc. Moreover, With all your patient records safely stored on the password protected cloud EHR, a few clicks and you’ll know Alex’s entire patient history; what he’s is allergic to, the results of his last test and the ones before that, his previous pharmacy visits, and virtually every specification you require. The result, improved accuracy and enhanced patient care, readily available and accessible information which saves valuable time and money for both Alex and his physician and an exponential drop in duplicate tests and faulty prescription-based allergic reactions and accidents. Furthermore, patient portals on EHR systems allow for increased interaction and patient engagement, by which you can respond to Alex’s medical queries online, and allow him to view lab results, prescriptions and other information via the portal, depending on the access you allow. Read more on Patient Portals. Accelerated revenue cycle, productivity and compliance are some other benefits of EHR systems. Why is the fast approaching October 1, 2014 Meaningful Use (MU) deadline the talk of the healthcare industry? What happens if you do not start reporting by July 1? This article provides a simple breakdown of the situation. MU defines the use of Electronic Health Records (EHR) within an organization. The Center for Medicare & Medicaid Services (CMS) gives financial incentives via Medicare and Medicaid EHR Incentive Programs to providers who demonstrate the “meaningful use” of certified EHR technology. The incentive programs have three stages which beginning by meeting the Stage 1 requirements and subsequently progressing to the next stages. Stage 1 has to do with data capturing (vitals, demographics, etc), while stage 2 is for advanced decision making (advanced clinical support) and stage 3, which will begin 2017 onwards, will focus on quality measures. This is the last year to receive Medicare incentives for MU Stage 1 for which reporting begun as early as 2011. If a provider does not start reporting by July 1, 2014, he will not be able fulfill the 90-day reporting requirement, and hence attest by the October 1, 2014 deadline. Consequently, he will not be eligible for the Medicare incentives. Additionally, the Medicare penalty for providers who fail to start MU even in the last quarter of 2014 will be subjected to a 1% penalty (in 2015). The penalty will rise by one percent in subsequent years until 2017 after which the penalties are set to vary depending on the percentage of eligible professionals who are meaningful users. See more on Meaningful Use. Furthermore, while Medicare is taxable, Medicaid is not. The last year for receiving Medicaid Incentive Program benefits is 2016, however, there is no penalty for this program. By adopting Meaningful Use and complying with the CMS requirements, practices will be able to enhance quality, safety, efficiency, care coordination, population and public health, reduce health disparities, and engage patients and families for their benefit, all while adhering to privacy and security norms.